Waza? It’s not a catchphrase in a bad beer commercial, it’s a Japanese word that means “art and technique.” And with that in mind, BOSS has taken a few of their pedals and made them, how shall we say, better? 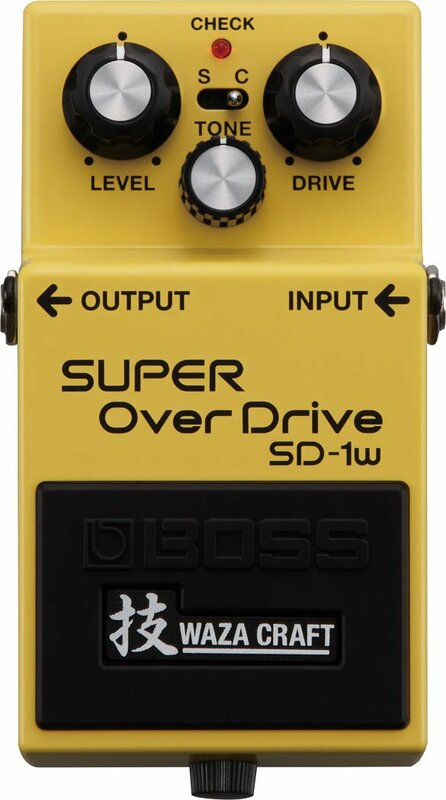 In the case of the SD-1W, you still get the same sweet overdrive, that beautiful sustain with a hint of compression that makes your guitar leads sing. But they’ve added a switch, so you can flip from the Standard sound to a Custom one. What does Custom do, you ask? More bass, more gain, more more. Happy now? Well, you will be when you get your own SD-1W.